Geerhardus Vos wrote his Reformed Dogmatics in Dutch, by hand, in 1896. Fourteen years later some unknown individual transcribed Vos’ work into print in Dutch. For the last 103 years this printed work has been inaccessible to theology students who never got around to learning Dutch. It is to the high praise of Logos Bible Software that this important work of Reformed theology is now being made available in English. At this point, only the first volume, encompassing Doctrine of God proper and the first 80 pages of the second volume, dealing with Anthropology have been made available to those who have purchased this set. Vos’ Reformed Dogmatics holds two big surprises for its readers in terms of its clarity and its format. As to the first surprise: the book’s clarity. Amongst my fellow seminarians the name Geerhardus Vos conjures up impressions of great, rich biblical theology. But it also brings memories of a borderline incomprehensible writing style. Those who have read Vos’ Biblical Theology or his seminal Pauline Eschatology may relish the opportunity to learn once again from the master. They may not, however, be too excited about actually reading it, as Vos doesn’t have a reputation for being the most lucid of writers. Because of this reputation, right out of the gate, the greatest delight I had from reading Reformed Dogmatics was in the undeniable clarity of the writing and argumentation that Vos employs. It is common to think of Vos as primarily a biblical theologian. 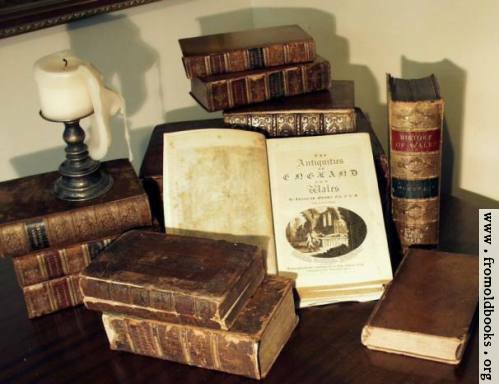 His most important works that have been published so far have been in this vein. But the simple clarity of Reformed Dogmatics causes me to wonder if his true passion might have been in the systematics courses that he taught for so many years. I am quite certain that Richard Gaffin deserves much of the credit for his work on the final form of the translation. I know that Dr. Gaffin is experienced at translating from Dutch into English, and his skills are put to excellent use here. 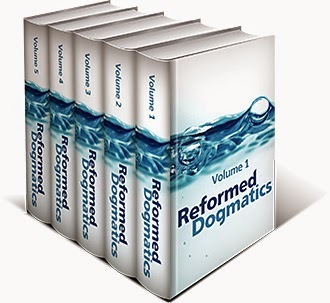 The second surprise of Reformed Dogmatics is its format. The book is not written in a traditional way (as one might find in say, Calvin’s Institutes or Bavinck’s own Reformed Dogmatics. Instead, the book is written in a question-and-answer format more similar to Turretin’s Institutes. At first I was distressed by this, feeling initially that I was reading class notes or scraps of ideas. This is thankfully not the case. When Vos gives a brief answer, it is welcome. And when he gives long answers it is because a lengthy case needs to be made. The format is welcome because it contributes to a sense that the answers have been carefully organized. I quickly grew used to it. If I was to make one complaint (and this would be minor) it is that many of the questions that Vos raises are not symmetrical. There is something thoughtful and thorough about the sorts of questions that Turretin raises in his Institutes that seem to be missing in Vos’ own work here. This means that some subjects seem to be covered a bit more thoroughly than others. As an example, Vos asks the question, “How do you refute Sabellianism?” and he gives a four-part answer that is succinct, well organized, and exceedingly helpful. But there is no similar question for the converse error of Sebellianism—in this case Tritheism. This may be because tritheism simply is not a realistic option, but neither should Sebellianism be. In a systematic treatment, I do think that addressing this question would have made sense. Vos was slightly younger than Herman Bavinck, whose own Reformed Dogmatics we know all too well. It seems that Vos’ discussions of numerous loci of theology (especially divine passibility and atemporality) line up very happily with those of Bavinck. If Bavinck reflects the mainstream of Dutch theological thought it would appear that Vos reflects a similar approach to theology, albeit with a different didactic method. Many students I have talked to find Bavinck’s discussion of some issues hard to follow, as he spends much time talking about other views before he gets to discussing his own view. In this respect Vos presents a contrast to Bavinck in terms of his brevity and clarity. It is my hope that support and interest in Vos’ Reformed Dogmatics will continue to grow in the Reformed community. I am enthusiastic to have the guiding voice of Geerhardus Vos added to discussions not only of Biblical Theology but Systematics as well. It is a subject which Vos taught for many years and one which those of us who were not his students firsthand now know he was ably suited to. Never fear. Logos is a free download! You just have to pay for the "book" itself.